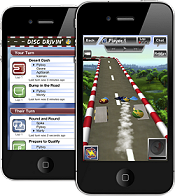 Swipe your way to victory in Disc Drivin', a turn-based, physics racing game for iOS devices! Play at your own pace with support for 20 simultaneous games. Use awesome powers and avoid hazards on beautiful tracks with full 3D physics. 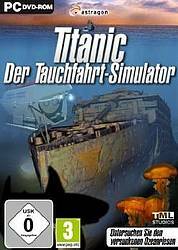 "Titanic - Der Tauchfahrt Simulator", a PC simulation game which incorporates the Newton Game Dynamics technology. Underwater exploring submarine simulation of the long-lost wreck of the Titanic on the bottom of the sea. Highly detailed and realistic 3D deep-sea world of exciting adventures and guided numerous missions at the bottom of the ocean. - Regular table Shuffleboard that you've enjoyed in the local bar. Play against a friend or a computer controlled opponent trying to out-shuffle each other's weights or blast them off the table. - Shuffle Bowling which is very similar to regular Ten Pin Bowling except played on a Shuffleboard table with weights instead of bowling balls. The impressive "Newton" 3D physics engine provides realistic pin collisions, just like Nintendo's® WiiTM Sports Bowling. Unlimited Racer is a car racing game developed as an open source school project. It features and optimized 3D graphic engine, Integrated physical engine Newton Game Dynamics, Highly configurable game engine, and High level API for C++ developers which allows creation of another game mod really easily. Grand Billiards combine exciting game play options and social media enhancements with stunning, detailed graphics, to brings pool into a true 3-D environment. 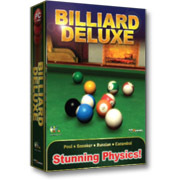 The game has accurate physics, allowing players to apply spin to balls and even jump the cue ball. Games enable multiple perspectives, allowing users to intuitively control how they view the game, choose multiple camera perspectives and zoom in and out. 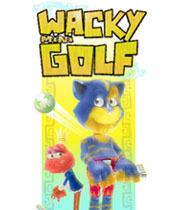 Wacky Mini Golf is a 3D game with a total of 72 colorful mini-golf holes. Choose your golfer or create your own with an iSight camera. Then jump in Charles' old aircraft to play in 4 exotic locales. The game supports up to 4 simultaneous players (hot-seat) and features an online score keeping system.Use your webcam to customize your golfer and submit your photos to the online gallery. 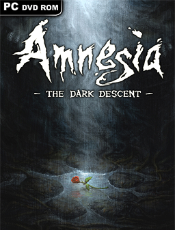 Winner of Swedish independent game of the year 2007 award! !Penumbra Overture is an innovative first person survival horror game using advanced physics interaction. Instead of relying on combat as the main gameplay, Penumbra focuses on puzzles and exploration, using wits to fight off enemies, rather than brute force, creating a unique experience and surreal atmosphere of a scary game world. Playable demo available on website !! Grab the chance to be amongst the drivers at the centre of the action. 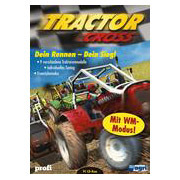 With its combination of realistic TractorCross simulation and simple handling, TractorCross offers tractor fans, agricultural enthusiasts and motor sports addicts alike a gaming experience unrivaled by any other. Reno 911! Paintball is a web-base game promotion for the Comedy central TV show Reno 911. 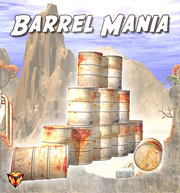 Use the arrow keys to move and space bar to fire as you hunt down your prey on the paintball course. It's gun-slinging paintball action, Reno 911! style! 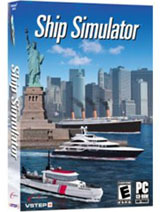 Ship Simulator 2006 is a revolutionary ship simulation game, whereby you get the ability to steer various ships in different environments. Both the graphical quality of the ships and their dynamic behavior are completely realistic, so the game is not only fun, but you learn something about ship maneuvering along the way. 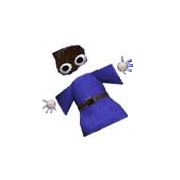 WiiSticks is my first attempt at combining input from a Wii remote and physics simulation. In the game the user holds 2 wii remotes (or 1 remote with a nunchuck attachment), and flips and spins a rod back and forth between 2 sticks that they control directly with the remote. The input is very intuitive, even providing basic force feedback (the controller rumbles on contact with other objects). Free Download on website !! In another life, you were Budge: a reckless, careless, inventor. Now stuck in a mysterious world, you don't know why you are here, only that you have a dreadful feeling that you are incomplete. Soon you discover that your soul has been split into separate shards. You can no longer talk or invent the things you once were able to. Walabers Trampoline is an action trampoline simulation game for the Windows PC. The game uses powerful physics and animation to create a very realistic looking 3D trampoline game. Utilizing an unique control scheme using only 7 buttons, players can perform almost every move possible on the trampoline- including multiple flips and twists in different positions. Penumbra is a free, first-person horror adventure game that uses the latest graphics technologies and physics to create an immersive game world. 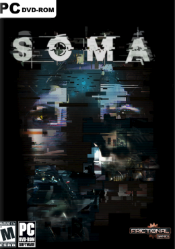 The protagonist finds himself in an underground base searching for his lost father. It's dark, scary, and dangerous. Arid Ocean is a lifelike simulation of an underwater world with numerous species of fish, including white sharks, and dolphins. Huge underwater cliffs form a seabasin where water plants are swaying in the current. Light reflections are dancing on the ocean bed, and far away you hear some whales and dolphins strangly calling out. Future Pinball is a real time Pinball Development System. 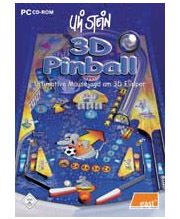 It allows you to design and play your very own Pinball Simulations with True 3D Graphics. Riding vehicles called Gorok these warriors have to compete against each other in different disciplines. With mighty spells they hinder each other and even the venues themselves have perfidies and obstacles. So only the best will be victorious. Steam Brigade is a side-scrolling, real-time strategy game set in an alternate history where airships and steam-powered tanks rule the battlefield. Trembling Towers is an impressive and uncommon puzzle game in which your job is to build different towers. But be careful! The towers may collapse! The more stones you are using the more the tower becomes wobbling. As soon as your tower has lost its balance it will collapse in an impressive manner! Uli Stein offers tricky missions and hidden features. Great lighting and complex sounds take the player through the missions and clearly show the current status and goals of the game. Hi-Resolution models and textures create a realistic gaming experience. Jump behind the wheel as your favorite Nicktoons character for a wacky race to the finish line. 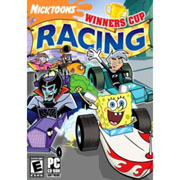 Speed through 4 Nicktoons worlds using your character's special super powers to slow your opponent and become the Nicktoons Winner's Cup Racing Champion! Games and utilities using Newton, including "Stunt Playground" and "Ragdoll Monkey Bowling". also the home of the OgreNewt library for integrating Newton with the Ogre 3D engine. Kicker is, like the name allready assumes, a kicker game. I think i've nothing to say about the actual game, i think everyone knows. Full game dowloadbel on website !! Drive one of the 15 crazy Classic Cars! Experience realtime shadows, reflections, dynamic environment and advanced AI. Use shortcuts to take over your opponents and win the prize! Shatter all iron bricks, row after row, using 29 unique power-ups. Use your pad, supplied with a turbojet engine, to catch all the fire bonuses and collect crystals. Have fun in this incredible space match!